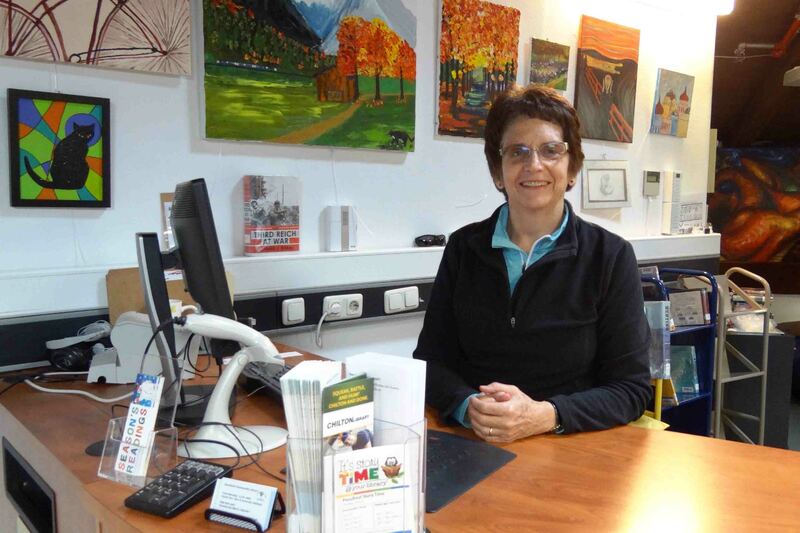 GARMISCH, Germany — For more than two decades, Ailien Patail has served as a U.S. Army Garrison Bavaria’s librarian for the Garmisch-Partenkirchen military community. Inspired by her husband George, Patail became a librarian and began working at the Garmisch library in 1995. Since then, she has seen a lot of changes in the library system and met and helped a wide variety of people, from temporary visitors just passing through to others who have remained in the community for years. Before Patail retires in May, we sat down to ask a few questions about her career and years of experience for our series on noteworthy, influential women here in our Bavarian military community. When did you arrive in Garmisch? Why did you stay? I arrived in Garmisch with my family in 1994. We arrived on one of those dazzling late summer days when the mountains glow red in the evening. For dinner, we had one of the best pizzas I had ever tasted. After that, who could go back? We stayed after my husband retired, because I liked my job. It is pretty great to look at the ever-changing view of the mountains as I ride to work. We have family here, and Garmisch feels like home. When did you start working for the community? I started working for the community, known back then as Area Support Team Garmisch, in 1995 as a part-time library technician. What inspired you to be a librarian? My husband was a librarian, so I was exposed to the library world long before I started working in one. The work suited my leanings to organize and order things, and I wanted to be more competent in my job, so I decided to go for a Master’s in Library Science to become a librarian. Walking into a beautiful room filled with books every day. I love the variety of the job. I get to do everything from ordering and cataloging books and assisting people with research questions to helping put on programs like puppet shows and “Elf on the Shelf” that delight children. And I get to meet a lot of remarkable people. The job is a great mixture of detailed work, interaction with people and fun creativity. How did libraries change over the years? When I first started working, we were still typing cards for the card catalog, and stamping and manually filing those little cards in the back of books. If someone wanted a book from another library, we called to see if they could send it. We had several sets of print encyclopedias. Now we have an automated intra-library loan system with all Army Europe Libraries, access to many online research databases and a self-checkout station. But even with all of the changes and online resources, it’s rewarding to see the number of people who still love to read from a physical book. But sorry, no more encyclopedia sets. I like reading novels and children and young adult books can be fun too. But I’d have to say that I like narrative non-fiction books the best. Especially adventure tales about explorers and key historical events and influential personalities. The Army Library Program is about to launch a reading program about World War I and I hope to read a lot of the suggested books. At the end of May you retire from your job. How do you see your future and what will you miss most? I hope to be able to bike, hike and ski in Garmisch more and also be able to travel and spend more time with family both here and in the States. I’ll miss being surrounded by books every day, getting to be the first person to touch the new books that come in to the library and all of the dedicated people I work with. Most of all, I will miss the day-to-day interaction with people who come to the library and who love the library and all it has to offer as much as I do. Editor’s Note: Influential Women of Bavaria is a series of stories on women located at USAG Bavaria who lead positive examples. The series runs through the month of March, Women’s History Month. Around the world, women bring a special vitality and balance to schools, businesses, governments and militaries. The same is true at USAG Bavaria. From supporting Soldiers at home to serving in the front lines and even holding positions of leadership, women in Bavaria are pretty noteworthy. The short pieces from Influential Women of Bavaria are just one way of capturing that.